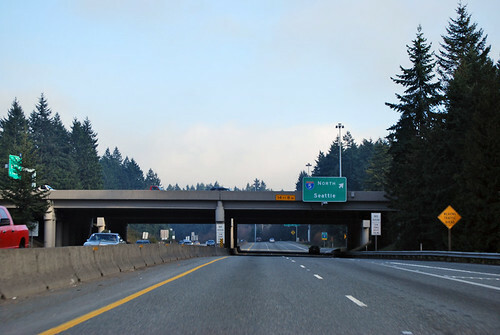 On Saturday, January 17, 2009, we drove the length of Highway 18, from Federal Way to Snoqualmie (more or less). It's nice to drive the road I drove as a teenager (sorry, Mom!) 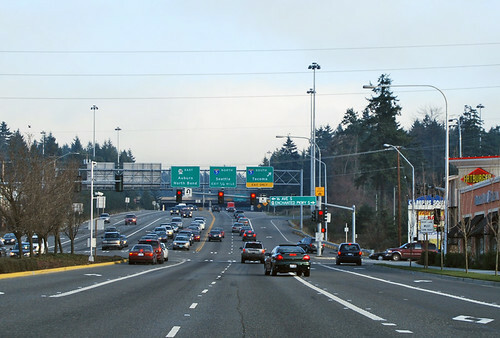 and see all the changes WSDOT has made since then. 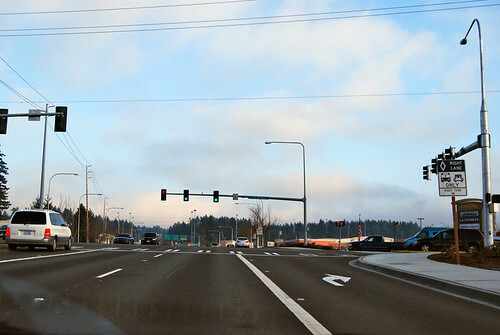 At a busy intersection in Federal Way, Highway 18 begins. 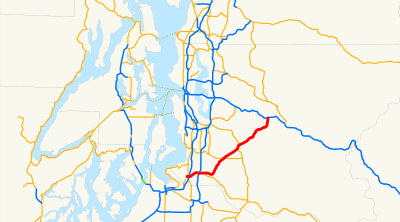 SR 99 is the federal highway that the city is named after, you know. 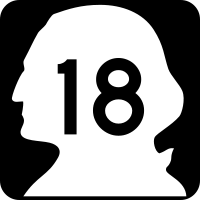 A hundred yards later, Highway 18 has a junction with SR 161. Looks about the same. 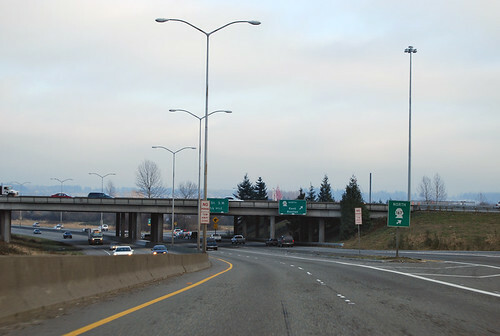 And another hundred yards or so later, 18 gets going and has a proper junction with I-5. Down a steep, windy hill, we arrive at the bottom of the Green River/White River valley, aka Auburn. 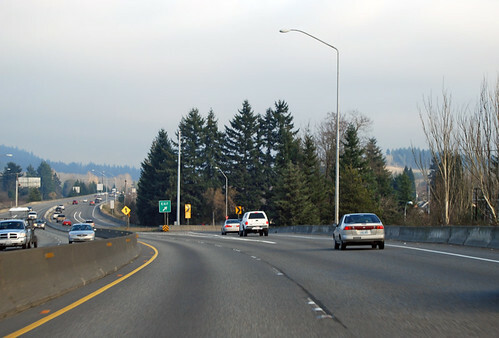 Here we find SR 167, the aptly named Valley Freeway. 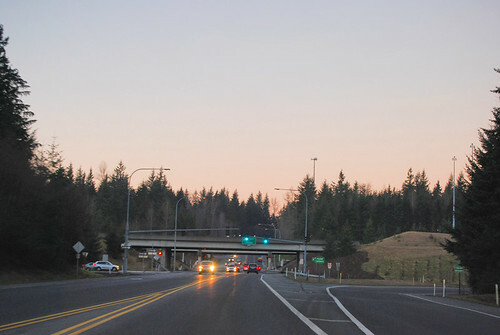 A short way across town, the junction with SR 164. Heading to Enumclaw? Up the Green River, hang a left at Soos Creek, up over a little hill just past Green River Community College (The old stop light is long gone. 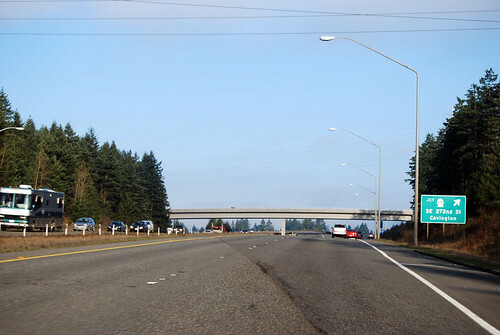 . .), and we get a glorious view of the junction of Highway 18 and Kent-Kangley Road, aka SR 516. Here we stopped for a brief visit to my parents. Home sweet home. A bit late, we left my parents and continued northeast. The freeway section of Highway 18 ends seven miles short of I-90, but we managed to make it through the fog and over Tiger Mountain in time to get to I-90 just after sunset. Hence the pink sky. And so old, familiar Highway 18 is at an end. lol I cannot even begin to imagine what 18 was like before "improvements"